People don’t always realize the effects certain condition can have on the rest of the body. Even some specialized practices are primarily concerned with just treating the affected area rather than considering how it is related to the patient’s overall health. Here at South Lakewood Dental, we practice in holistic dentistry. Unlike some of our counterparts, we treat oral care as part of a bigger system of health related issues in order to provide our patients with the best all-encompassing care. Periodontal diseases in some cases can be a precursor to heart disease and diabetic issues. They can also be your body’s response to something else that is happening in your body. Either way, we believe treating not only the obvious ailment but also determining the underlying cause is the wayto best care for our patients. For more than a century, cavities were fitted with silver amalgam fillings. These fillings also included the element mercury. Mercury is added to silver and other metals to form a strong amalgam that remains durable over time. However, certain studies have shown that this elemental mercury can release vapor that the lungs absorb, which has shown to be a component in kidney failure, brain function and autoimmune diseases such as ALS, MS, fibromyalgia, lupus, and Parkinson’s. Even though the levels of mercury in amalgam fillings are relatively low, we believe that any amount of a toxic material is too much to put in our patients’ mouth. 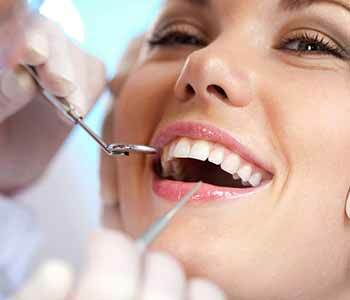 We offer fillings that are more biocompatible with the body. To schedule an appointment with your skilled holistic dentist, call us today at (855) 233-0023.